Hey dolls! 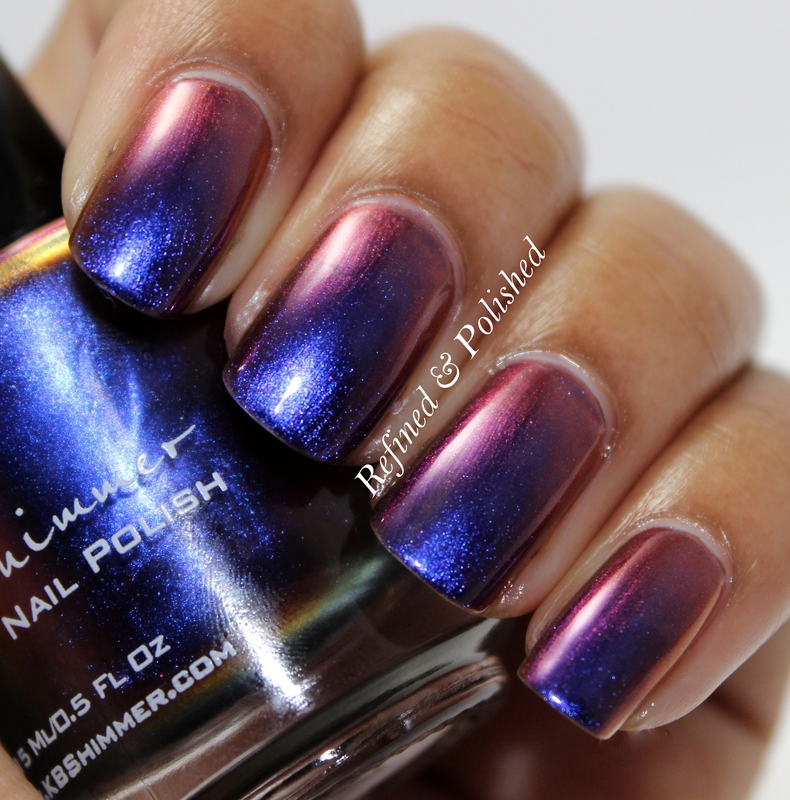 I have the multichrome portion of the KBShimmer Winter collection to share with you today. 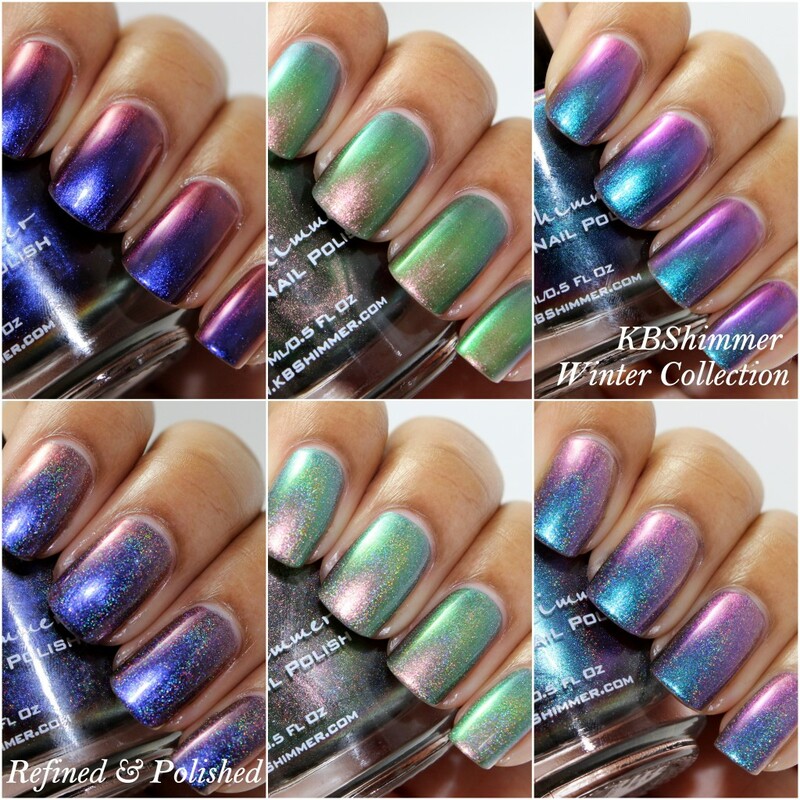 This collection consists of six shades; three shade shifting multichromes and their holographic counterparts. The formula for each polish was essentially the same; a little sheer, but easy to apply and manage. Three coats were used for each polish. KBShimmer Pigment of my Imagination shifts from blue, to purple, to red. For the most part, it looks indigo. I apologize for the quality of these photos compared to the others. I took these first and had to play around for the settings to photograph the color shift. 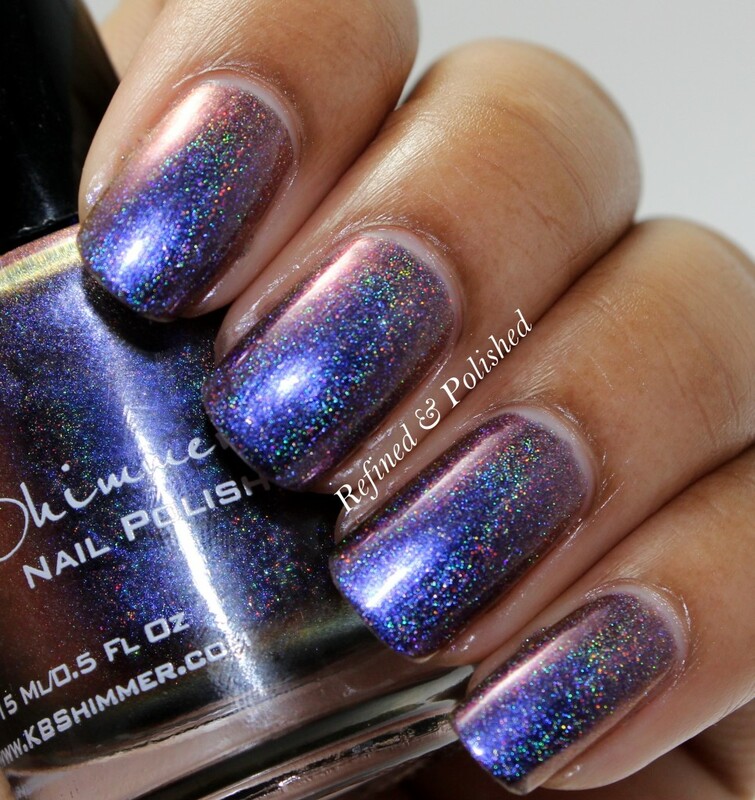 KBShimmer Myth You Lots is the holo counterpart of Pigment of my Imagination. 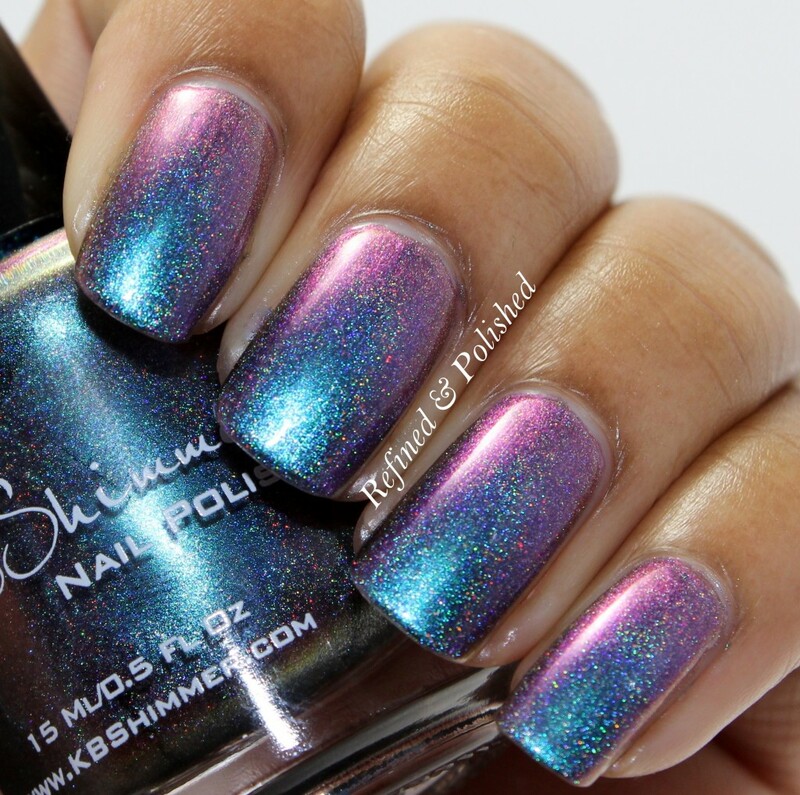 I am not the biggest holo fan, but I have to admit that it’s pretty cool to watch the color shift and sparkle at the same time. 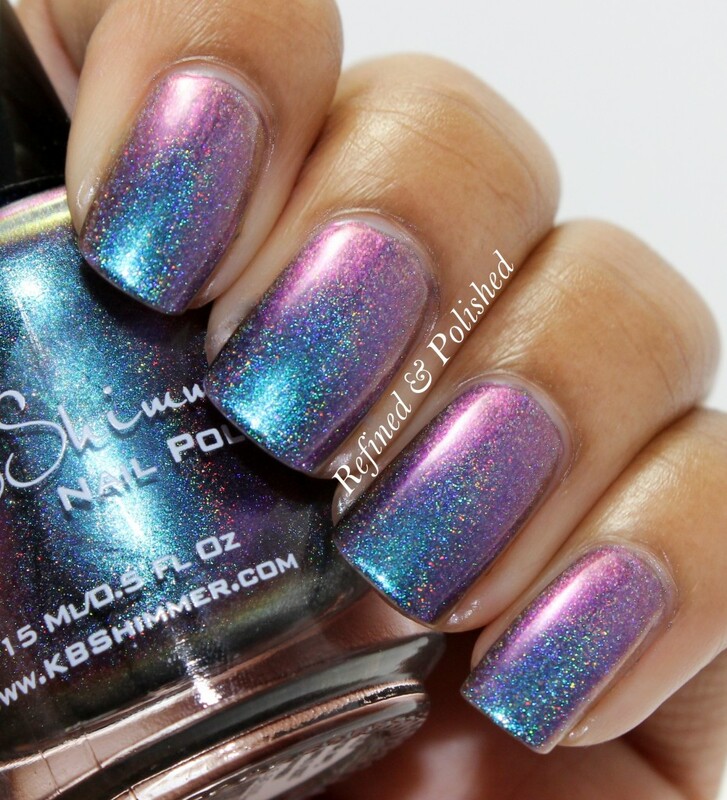 KBShimmer Urban Camo shifts from pistachio green, to a bright green, to silver, to a soft pink almost lavender color. I was not expecting to like this shade as much, but I love it! The color shift is so unique. 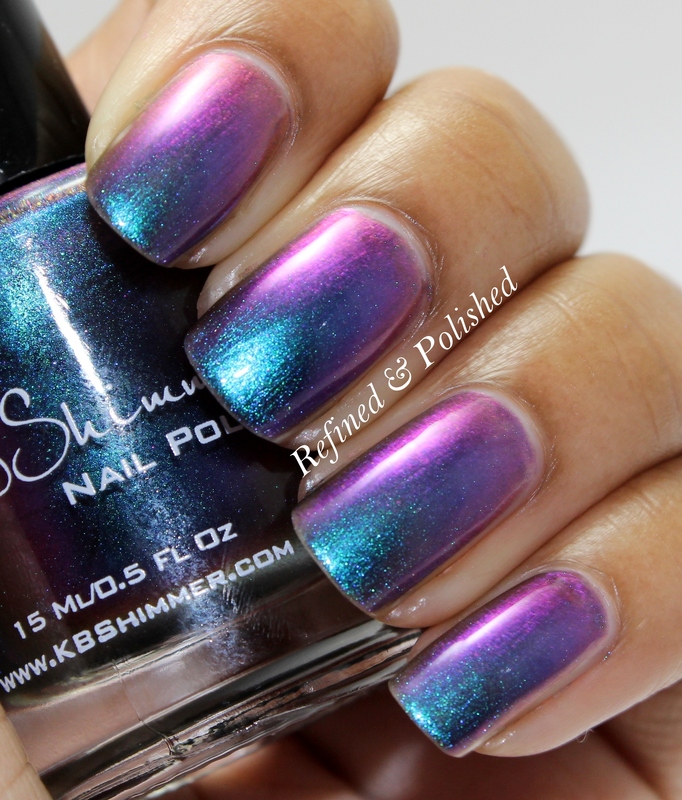 KBShimmer Pretty in Punk is the holo counterpart of Urban Camo. You can see with these photos I finally got the lighting situation figured out. 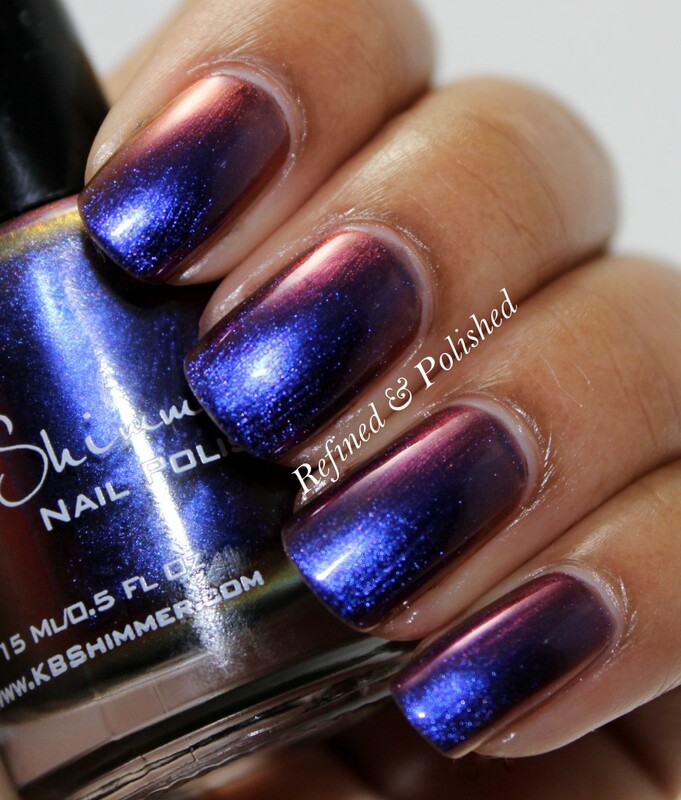 KBShimmer Shade Shifter shifts from cyan, to blue, to red orange, to purple. This one has so much depth! Overall, I’m really impressed with the KBShimmer Winter Multichrome collection! I’ve never been a die hard duochrome fan, but each shade has so much depth. 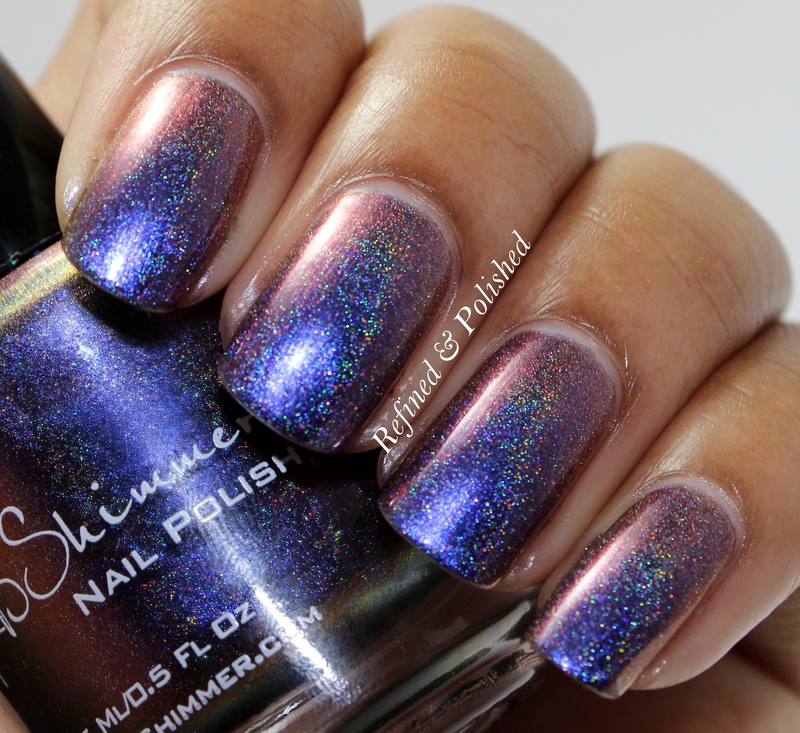 The added holo just takes it up another notch. These polishes can be purchased here for $8.75 each. 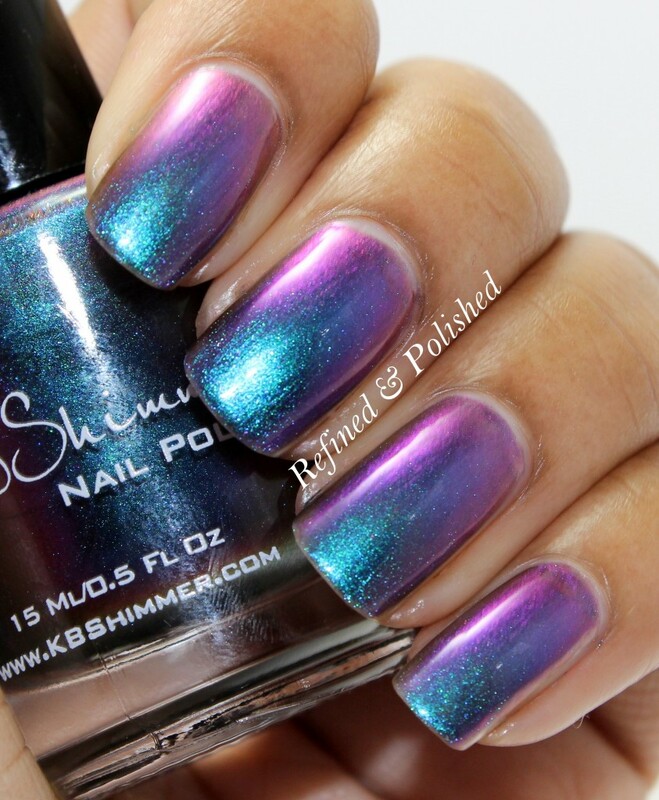 Be sure to keep up with KBShimmer on facebook and instagram.